The vision of her old lover calms Kate, and Safiyah departs her with a kiss just as the Colony arrives and secures the lab. 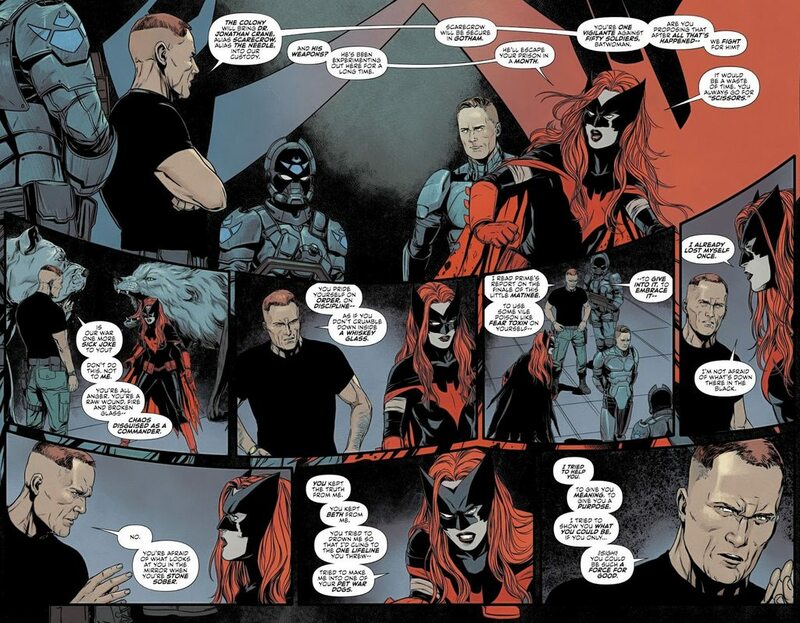 Later, Batwoman and Colony Prime are getting patched up by medics, while Kate reviews security footage from the lab and remotely uploads it to the Sequoia. That is a gorgeous panel with Safiyah. Can some one give me the cliffs notes version of this his story? Of just this arc, you mean? yeah. I am aware of most of the major players. 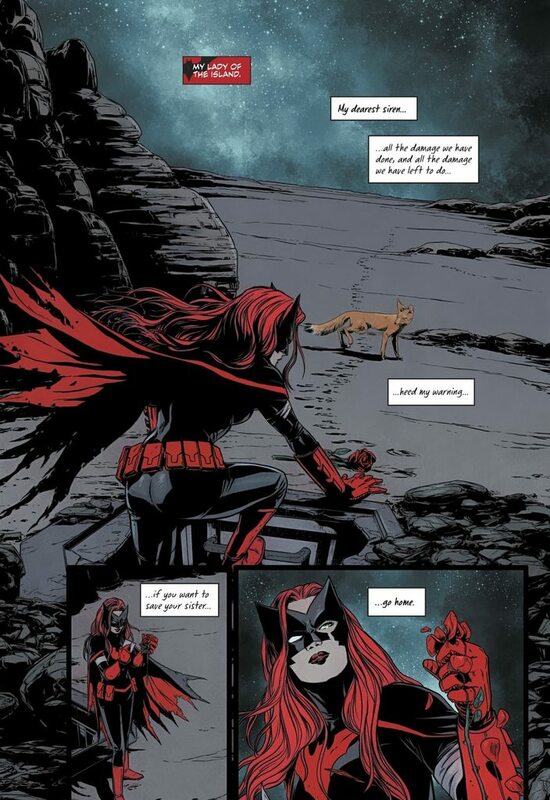 Batwoman gets shot down over the Sahara about a month after the first arc while hunting another member of the Many Arms of Death. She's taken out three other members in that month, so she's riding fairly high after the initial shock of her past on Coryana came back. After the crash, she's attacked by some animal hybrid Colony soldiers, and nabs a transmitter from one of their helmets. She then gets buried in a sandstorm. After the storm, she can no longer find her plane, so she's forced to follow the transmitter. After hours of wandering, she finds an oasis, and is forced to drink. 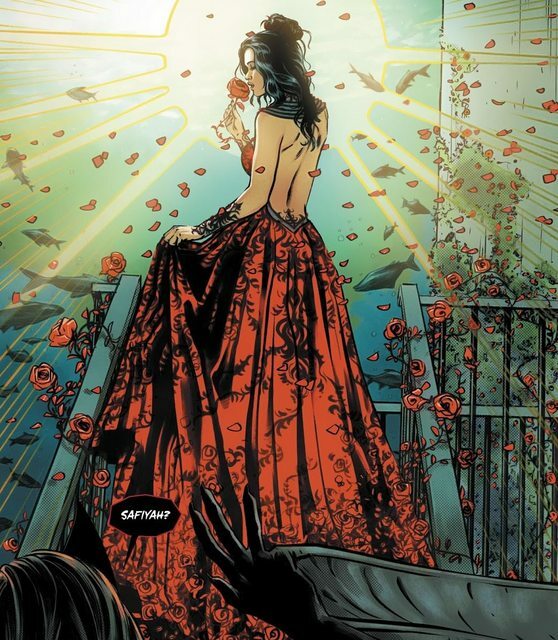 The water, however, was laced with fear toxin, and Kate gets captured by the very man she was hunting: Scarecrow. 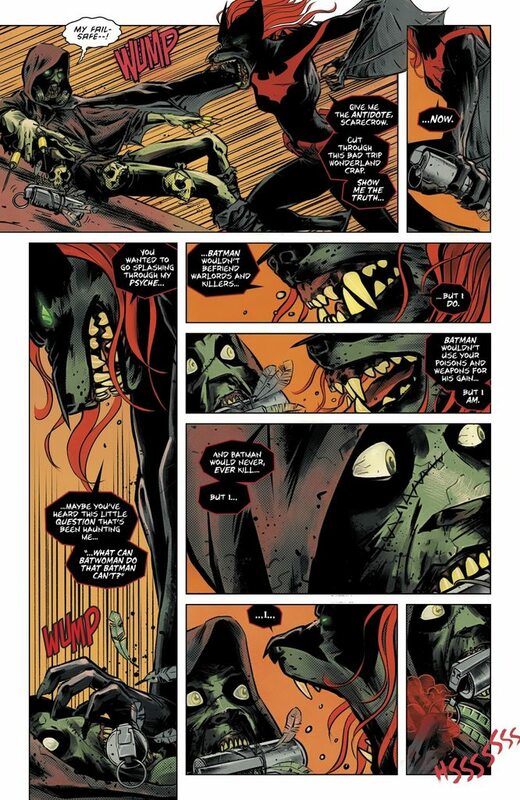 He uses her as one test subject for a new strain of fear toxin; his lab was also the origin of the animal soldiers. Colony Prime was captured earlier, and he and Kate team up to escape when Crane doses them again. They resist him and use Prime's helmet to send an SOS to any Colony troops searching for them. 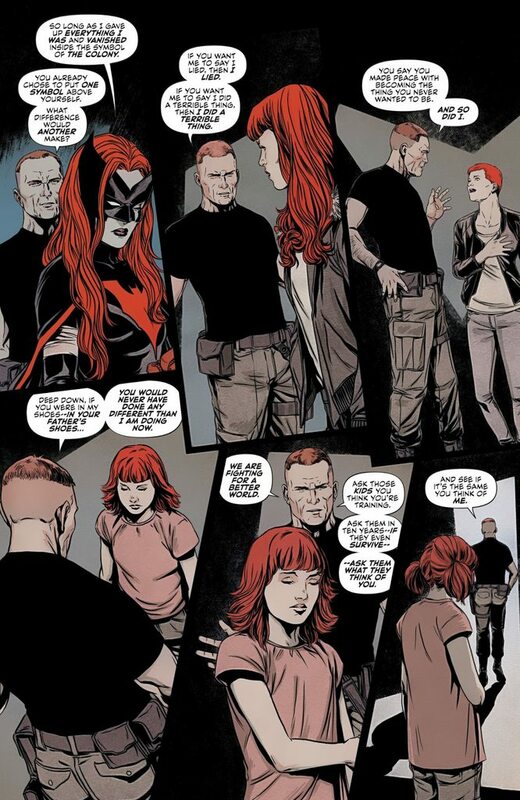 Crane tries one last time to get Kate to cave, and she turns the tables on him, which is where this issue begins. I appreciate the recap! I definitely gotta start collecting this book. You're welcome, and please do if you can; it's not exactly doing great sales-wise. 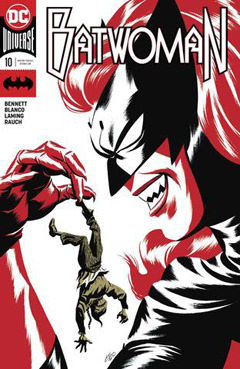 I've just been loving the art for this whole series. It's sort of trippy without being psychedelic. 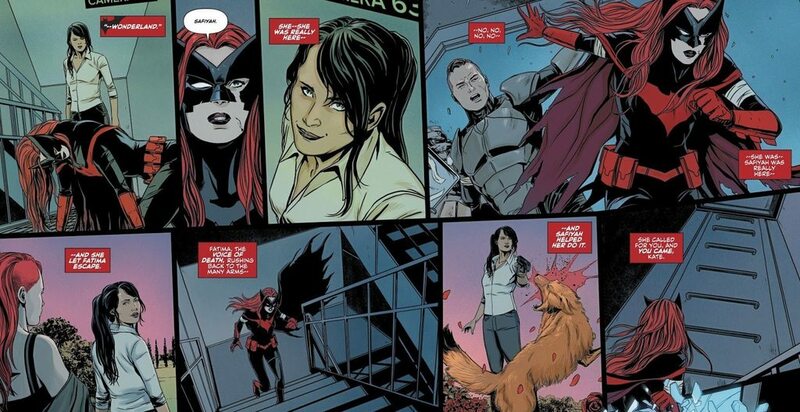 Too bad Kate can't team up with Mother Panic!